Presentation skills are necessary for personal and professional development. We give presentations to communicate ideas, persuade or to present information. In this talk we will be focusing on the various types of presentation, why we give presentations and the proper structure we should follow in order to obtain the best possible feedback from our audience. Public speaking can be intimidating, but with the proper preparation and the awareness of what makes a presentation successful, it becomes less of a challenge. The success or failure of real life communication is often decided by non-verbal factors. If our learners are to interact confidently and effectively, they must be aware of the impact that their tone of voice, body language and appearance will have on their audience. In this session we look at practical ways we can help our learners improve this often-neglected aspect of communicative competence. Scientific phenomena, the natural world and ancient civilizations have been areas of interest and study for many years. Under the CLIL approach subject areas are taught in a foreign language, with the dual aim of simultaneously learning both the subject matter and the foreign language. In this session, we will take a closer look at how the CLIL approach to language learning can broaden our students’ awareness of the world they live in, improve their cognitive skills, and help them discover, ‘A World of Wonders at the Turn of a Page’! 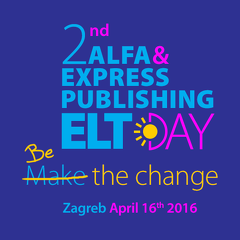 Virginia Evans is a highly respected EFL author whose books are the first choice for many EFL teachers. She is also an honorary lecturer at the University of Wales, Swansea and Moscow University, Russia. Her impressive record has resulted in her membership of Who’s Who Historical Society. Her teaching experience and involvement in the EFL field spans over thirty-five years. Since 1986, Virginia Evans has enjoyed immense success as a prolific author of EFL books with an endless list of successful titles for all levels. She is the person who has been trusted by thousands of teachers and students to teach and learn the English language. Patrick Painter studied history and pedagogy in North America at the University of Western Ontario, York University, and the University of Connecticut. He worked as a university lecturer and English language teacher for 7 years before joining Express Publishing as an ELT consultant. Irena Baždar is a very creative English teacher with 15 years of experience. Her enthusiasm and dedication joined with contagious optimism brings joy and positive atmosphere to the class. In her session, she will reveal to us some interesting ideas and practical tips for teaching English. Podsjećamo, prijave za sudjelovanje na skupu vrše se isključivo putem online obrasca koji je poslan nastavnicima engleskog jezika na njihovu e-mail adresu. 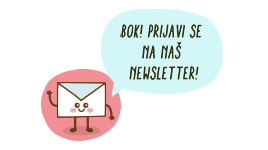 Ako kojim slučajem niste dobili pozivni e-mail, a mislite da ste trebali, javite nam se.